A F1 between MS-65 x Sel. 13-1-1 Medium size bulbs with globe shape and firm texture. 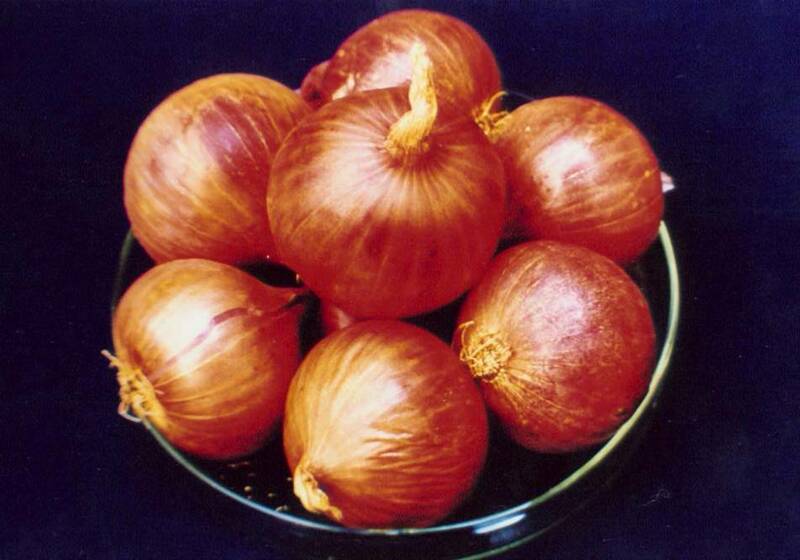 Bulbs red in colour with bulb weight 120 -130 g. Tolerance to purple blotch, basal rot & thrips. Long storage (4-5 months) Suitable for kharif and rabi seasons. Duration 125-130 days. Yield 47 t/ha.